We empower young people to take learning into their own hands, with the help of ours. A good education is the greatest gift you can give yourself or anyone else. We understand that there is no “one size fits all” when it comes to learning, as everyone learns at a different pace. That’s why so many young people can become disinterested in school – because they aren’t learning at the correct speed, and they either feel overwhelmed or understimulated. Our goal at Diamond Ranch Academy is to tailor learning to students’ individual abilities, allowing them to maximize their learning potential and thrive in the classroom. 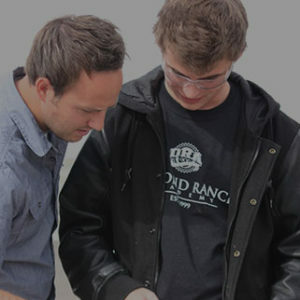 The academic approach at Diamond Ranch Academy is unlike that of most other institutions. We utilize a personalized system of instruction, promoting student ownership in the learning process. We want students to take charge of their own learning and feel empowered by being able to do so. With the support of certified teachers in a traditional classroom setting, students leave DRA having gained knowledge, skills, and confidence to pursue the things they are most passionate about while feeling confident that they can always master things that are difficult to them. Core credit is granted when your child masters content, not when they’ve merely spent time in class, as students must pass tests and assignments with 80% or better. This allows teachers and students to focus on learning techniques, test preparation strategies, and study skills. As students apply these tools and retake tests, their scores will improve. As study skills and ability increase, student confidence in the learning process also improves, allowing students to develop newfound positive attitudes toward school.